Just off the main road through Goulburn NSW, you turn into a quiet road that leads you up an uneven street for a short distance before stopping before No 52 Mundy Street on your left. In the peak of a NSW Summer, the ground is sparsely covered with barely a blade of grass that ordinarily would be lush with growth. There’s an air of desolation when you look around you and for the purpose of my visit to this particular property, this feeling of desertion is exactly what I was hoping for. From the street, one cannot see much beyond 2m ordinary brick walls. For an orphanage, I was expecting a beautifully intricately designed front wall with pillars and etchings. Yet I’m somewhat disappointed at the lack of detail. Yet inside the walls, tells a complete contrasting story to the state of vegetation on the street. The walls on the inside are lined with tall dense trees, in various shades of green, lush and inviting giving just the right illusion of mystery beyond, as you’re only able to view a small peak of the 3rd level. So we venture into the side street for a better view and access point and within seconds, my mouth is literally hanging open as we come to a stop. I’m momentarily speechless at the derelict beauty of the exterior. From the main street, this is the only entrance into the property. 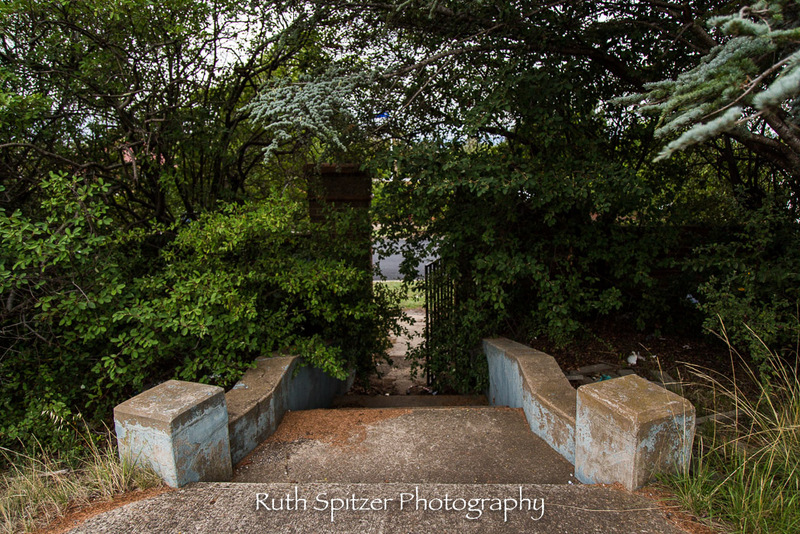 A small nondescript little rickety gate that leads you up a fairly plain set of steps obscured with overgrown flora. Not even a plague noting the name of the establishment. Once I stop gawking at what decay I know awaits me inside, we start roaming the perimeter to gauge the state of neglect. And it’s just as I imagined. 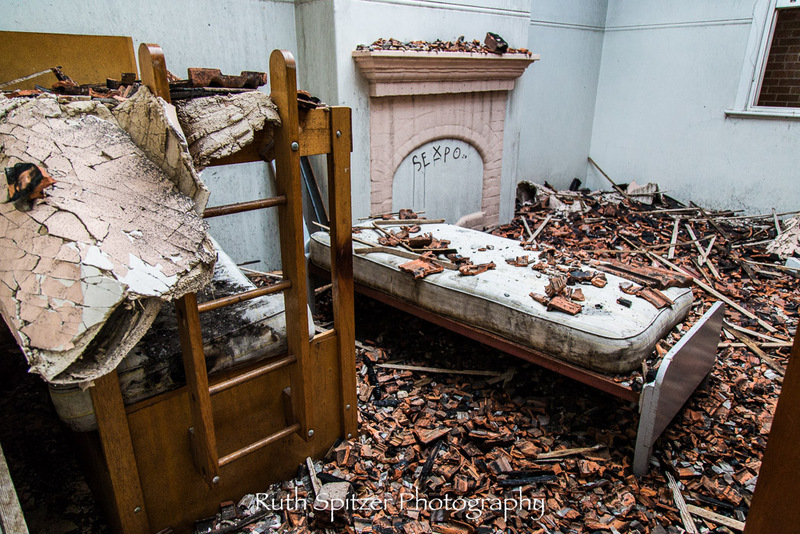 Splintered wood, rot, dust, shattered glass, gaping holes in the foundation and walls. 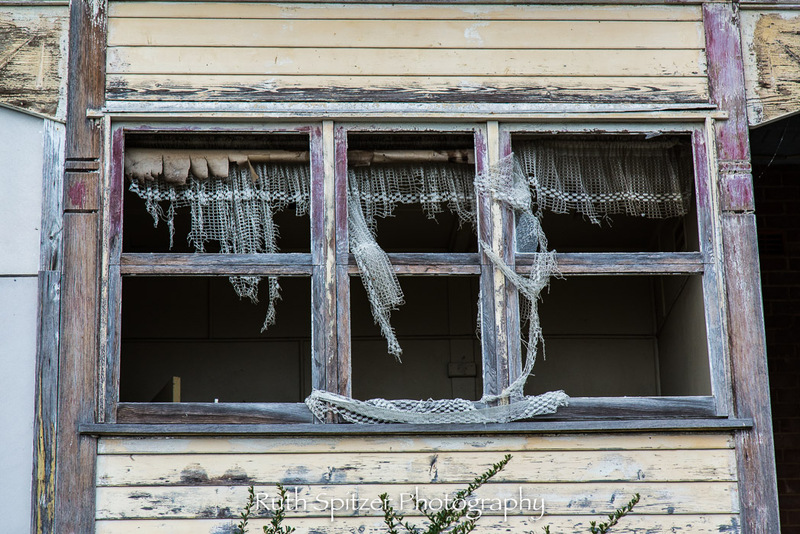 To the right, on the second floor, a set of shredded and discoloured lace curtains sway to and fro through open windows in an eerie fashion that is reminiscent of something out of a horror flick. It’s insanely incredible! 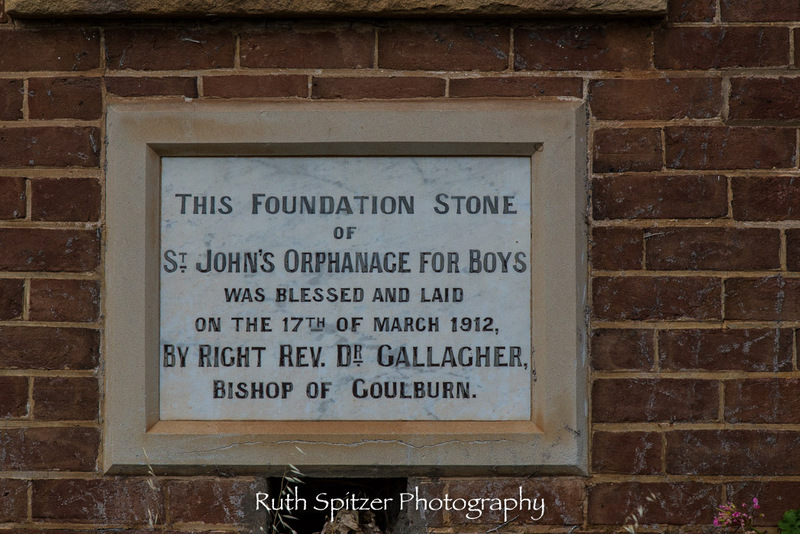 St John’s Orphanage, a.k.a Goulburn Boys Orphanage, opened on 17th March 1912 and operated for 66 years before closing it’s doors in 1978. 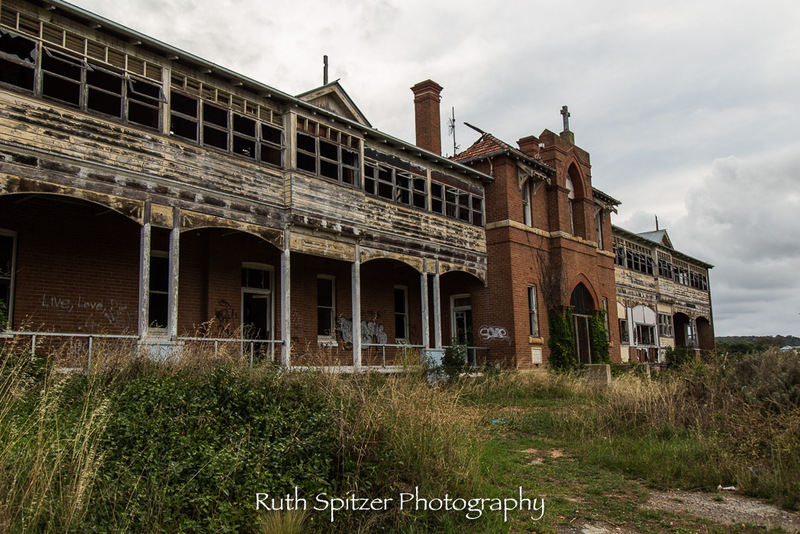 The Orphanage was run by The Sisters of Mercy for the duration and at any given time, the roll call for the number of Sisters in attendance was 5 at any given time. A monumental task, given the orphanage was only designed to house up to 100 boys, yet numbers reached as high as 250 during the war years. It’s said as many as 2,500 boys took up residence at the Orphanage over the 66 years, however only a small number were actual orphans. The vast majority were boys from ‘broken’ homes or troubled families and depending on the era, life at St John’s varied from tough to very tough. Just three years before closing its doors forever, due to declining number of boys, the home also started taking in a small number of girls from St Joseph’s Girls Home in North Gourlburn. 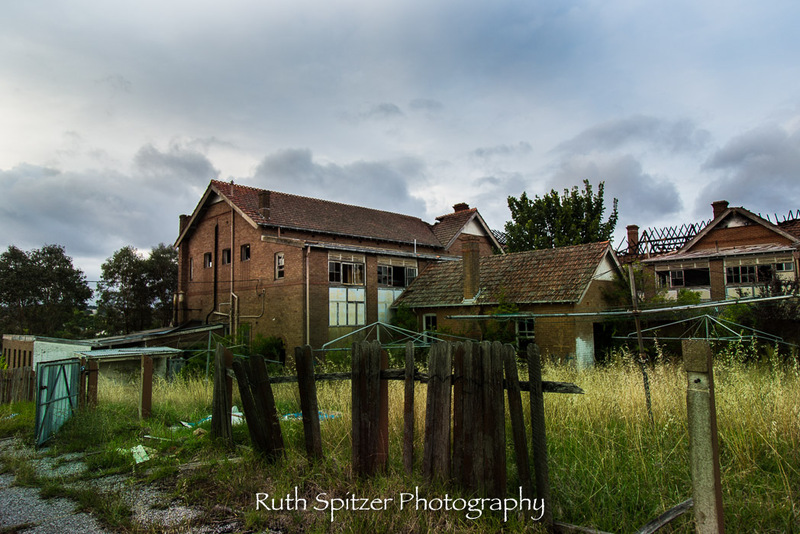 And after finally shutting down in 1978, the remaining children were sent to adjacent cottages and cared for by the Sisters of Mercy until it too closed in 1981. It’s also said that during its years of operation, “some children were subject to beatings, labour, abuse and neglect. They were given limited clothing that was only washed once a week and limited resources and toilet facilities” … if only these walls could talk. 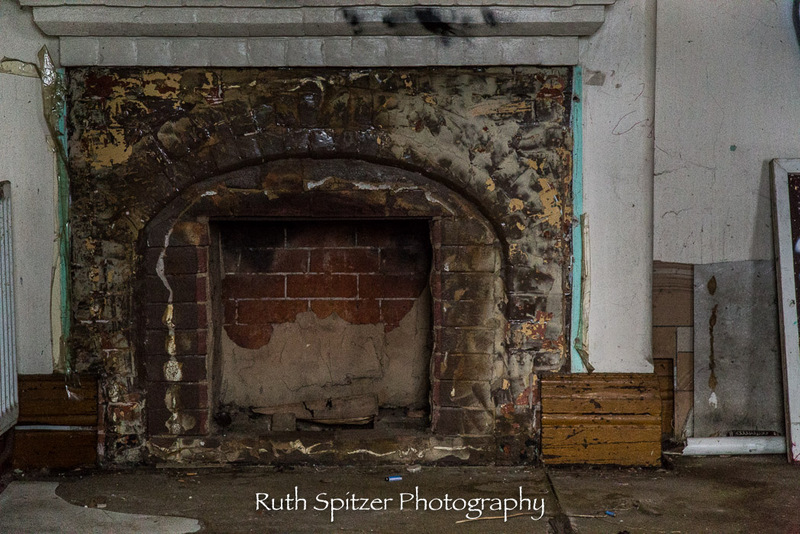 Decades later, the orphanage has fallen into a state of disrepair, every window shattered, wall cavities and foundations caving in, exterior framework rotting away and councilors are putting pressure on owner, John Ferrara to take action. Ferrara has expressed wishes to redevelop it into a 15-lot residential subdivision on the surrounding land. 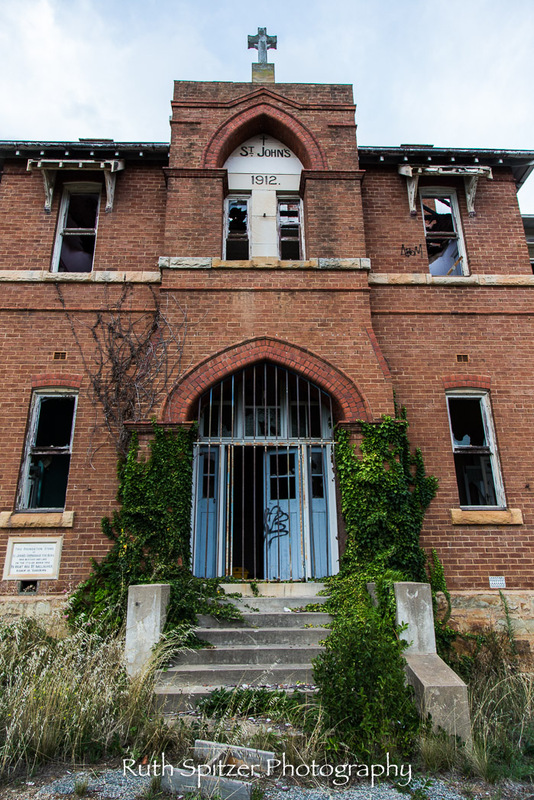 But concerns about the state of the 1912 building have been made known by council and a “schedule of conservation of works designed by renowned Goulburn architect, EC Manfred must be submitted before approval is granted”. 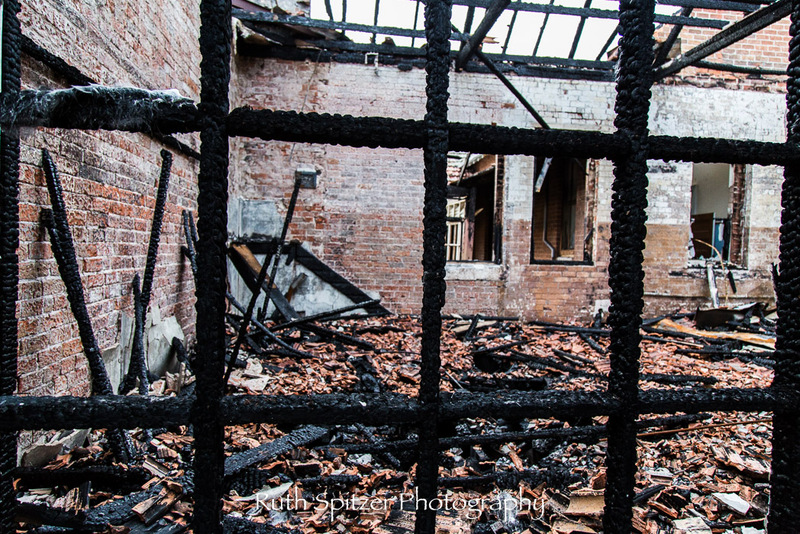 In November 2015, history goes up in flames as an unattended fire left by squatters is believed to have set alight the second story and damaging around 80 per cent of the roof cavity, now leaving a timber frame skeleton exposed. Ferrara confirmed the building was not insured. The stairs leading to the second storey where the fires broke out are surprisingly sturdy, however once you set foot on the top landing, the sight before you is damp soot and debris. The floor to ceiling window frames have been burnt to a crisp leaving in its wake, the most incredible black texture of the wood beams. What was once a well manicured back yard with several clothes lines, now completely overgrown and bordered by a few measly pillars of crumbling wood posing as a fence. 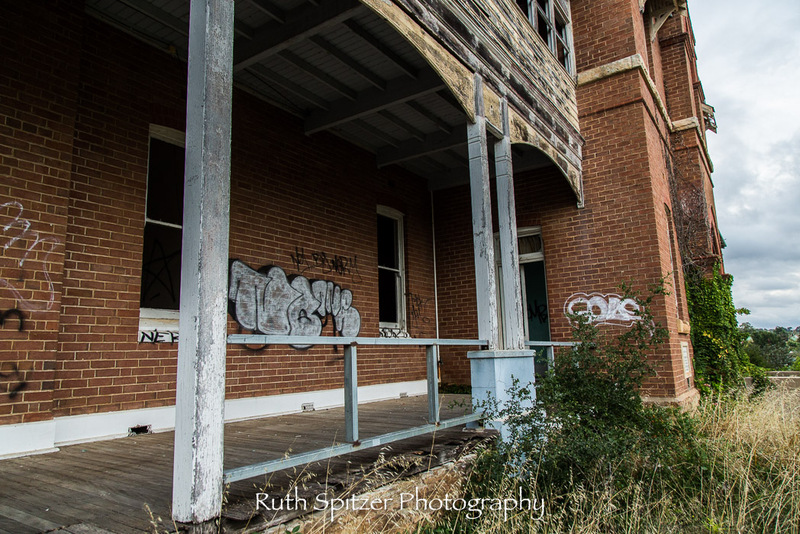 A few more images that capture this amazing property in it’s state of derelict, one can almost image what it might have been in the early 1900’s with young boys roaming the hallways, going about their daily chores, attending class. The life that once was. What an amazing place. The site of both happiness & sadness. Your photos support your content well. I wonder what the outcome will be for the building. Really enjoyed this post.